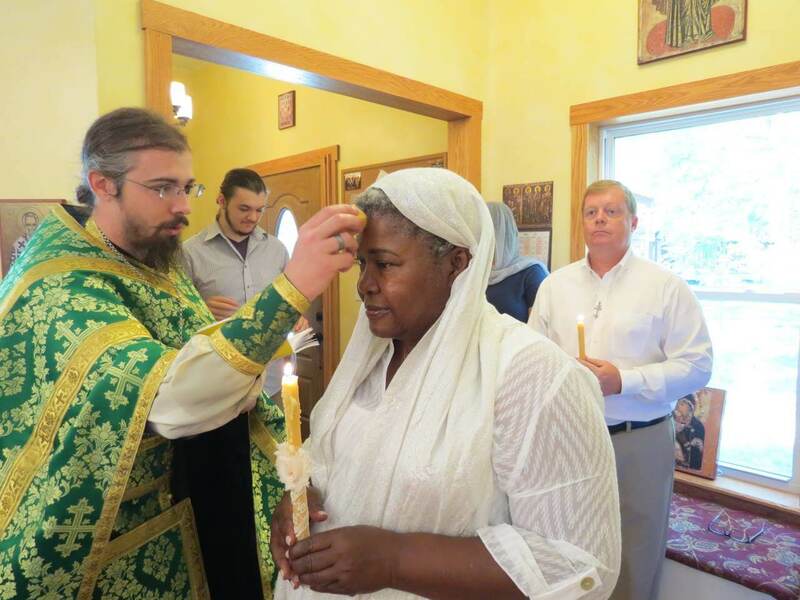 The process of becoming an Orthodox Christian is very similar to the process of getting married as it involves the same basic movements of courtship, engagement and marriage. Just as is the case in marriage, this beautiful process is deeply personal. Often the first experience of the Church is at a church service, by researching Orthodoxy online, or in a conversation with a friend who is Orthodox. If these initial interactions are blessed, a more serious process of inquiry naturally follows in which the person is referred to as an inquirer or a seeker. It isn’t possible to become an Orthodox Christian without a local Church. If you aren’t in south-central Missouri, here is a directory of parishes in the U.S. that can help find the one nearest to you. After beginning the “dance” as an inquirer and then determining with their priest that it is appropriate for them, one can then become a catechumen and begin formal preparation for being received into the Orthodox Christian Church. A “catechumen” is one who is preparing for baptism in the Church. In the ancient Church, the catechumenate, or time during which one is a catechumen, often lasted for as much as three years and included not only prayerful attendance in the divine services but also catechesis, or the formal instruction from a teacher (bishop, priest, or catechist). 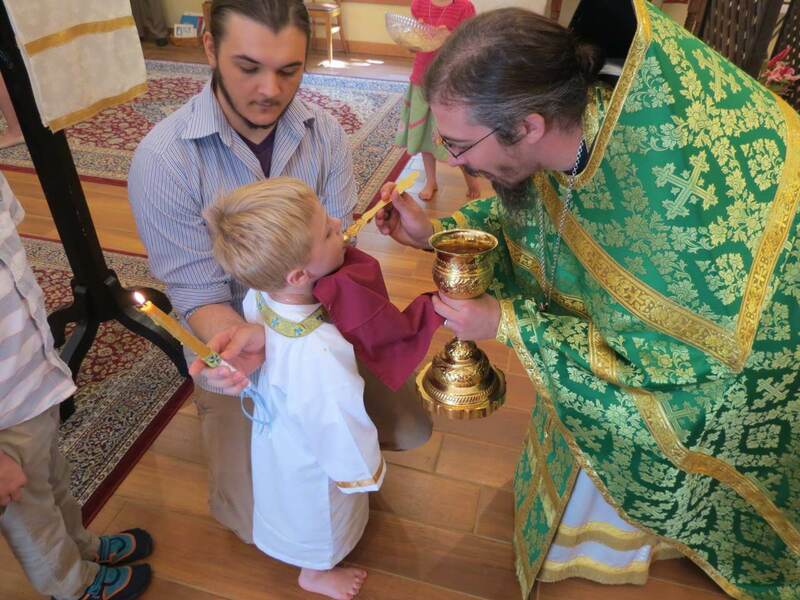 Catechetical instruction in Orthodoxy in America does not typically last the three years which was common in the time of St. John Chrysostom, but now ranges from six months to 18 months, depending on the practice of the bishop, his jurisdiction, and the level of spiritual maturity of the catechumen. Local parish priests typically oversee the catechesis of those preparing to be received into the Church. If one is joining the Orthodox Church from another Christian confession, this period of time is also important to allow for discernment regarding those beliefs which are and are not part of the Ancient Faith. Before being received into the Church, the catechumen participates in the Mystery of Repentance by making a life confession, offering all those sins that separate them from Communion with God. The Orthodox Church has no formal catechism – a single body of work that details the specifics of its faith. (This is one difference between the Orthodox Church and the Roman Catholic Church, who does have a specific catechism.) The primary instruction during the time of the catechumenate comes from the Holy Spirit through frequent attendance at the divine services. 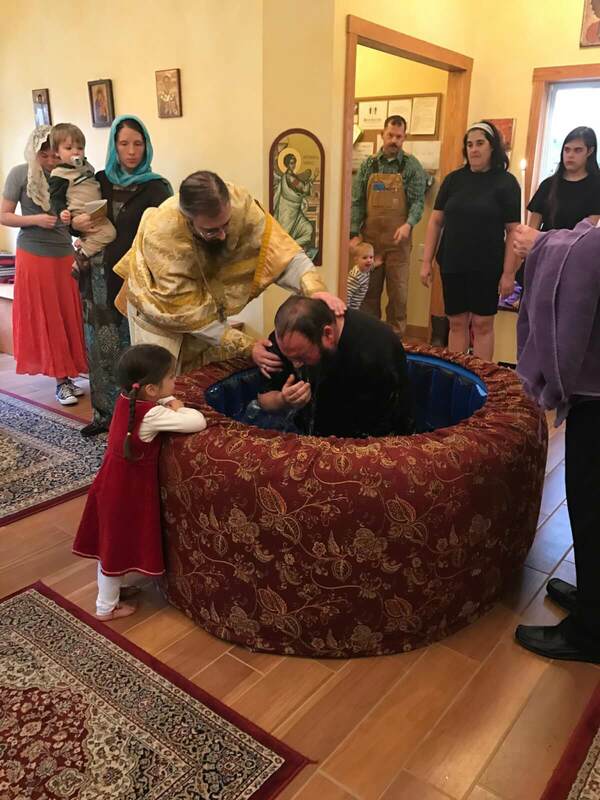 Catechumens are understood to be Christians upon beginning their catechumenate, and should they die before they are baptized, they are traditionally given an Orthodox funeral. Chrismation is the holy mystery by which a baptized person is granted the gift of the Holy Spirit through anointing with oil. As baptism is a personal participation in the death and Resurrection of Christ, so chrismation is a personal participation in the coming of the Holy Spirit at Pentecost. The Acts of the Apostles show us that a sort of confirmation was going on even in the early Church. As the Christian community expanded both numerically and geographically into many locations both within and outside of the Jewish world, the Apostles were soon not the only ones preaching the Gospel and Baptizing people into Christ. As Christianity began to grow, it was impossible for the Apostles to be everywhere to perform the Sacrament by laying on their hands, so they gave the authority to their successors to administer the Sacrament by anointing the baptized with Chrism. 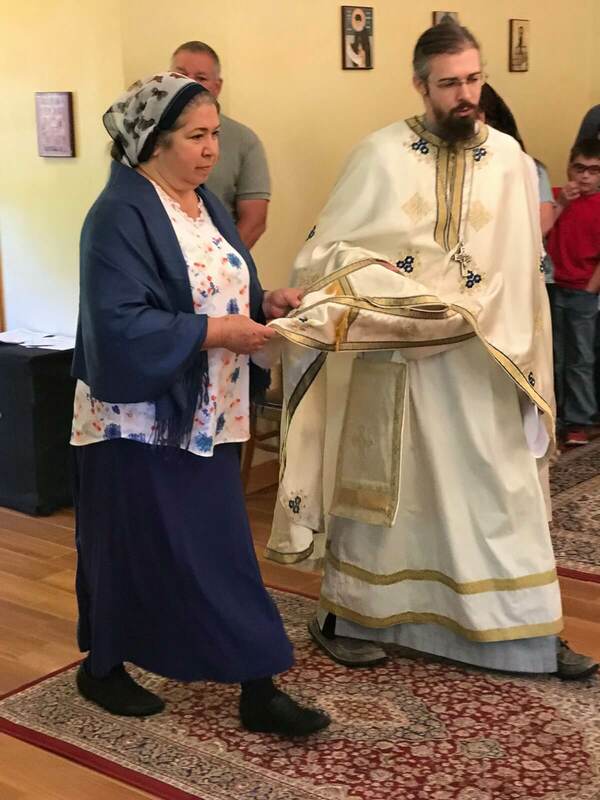 Immediately after being baptized and chrismated into the Church, during the Divine Liturgy, the newly illumined Christian receives Communion for the first time. Upon reception into the Church, the newly-illumined Christian continues and works to increase their participation in the Church through the Mystical Life in Christ. If you think you may be interested in joining the Orthodox Church, glory to God! We recommend attending a service or two and then arranging a time to speak with our Priest.